X-ray of the spine: what does the training do? As you know, the radiography of any organ differs from x-rays because the image is stored on film, and this document is the object of study. The x-rays the x-ray dose is hundreds of times less than in fluoroscopy. 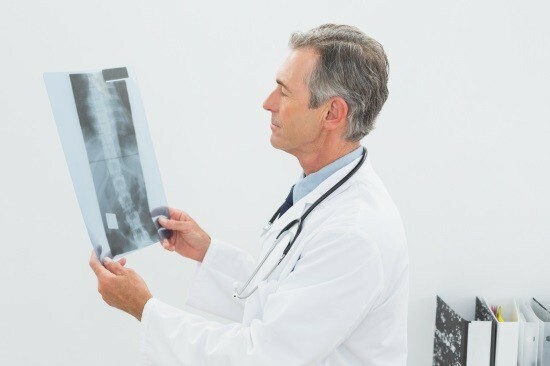 One of the most popular and highly informative types of x-ray is a radiography of the spine. Perhaps there is no person, who during life did not carry out this study. Most popular is it with neurologists, chiropractors, neurosurgeons, dealing with complications of degenerative disc disease. The most famous of them include radicular syndrome, caused by compression of spinal roots, as well as myelopathy, trauma, hernia of the spinal cord. Sometimes you need plain radiography of the spine for abnormalities of posture, and sometimes only the special departments, for example, Atlanto-occipital joint, when joints are investigated that connect the head with the neck. Radiographs of the spine are fully retained its value and informative value, despite the emergence of x-ray computed and magnetic resonance tomography. It usually starts research, when talking about the defeat of the musculoskeletal device. This is because the investigated bone tissue, which leaves a clear shadow. Therefore, all information that concerns the situation, relations, and the internal structure of the vertebrae can be obtained with this type of research. The distance between the vertebrae, that is the place where we are transparent to radiation cartilage, you can indirectly judge the state of the intervertebral discs, not even seeing them. Quick study is also a significant advantage: sometimes, the patient undresses longer than examined. Training for the x-ray of the spine is not no required. The only exception is the study of the lumbar spine. To avoid foods that stimulate flatulence, conduct a survey on an empty stomach, or even to make the morning a cleansing enema. Otherwise, on the background of vertebral bodies to see large spots of gas bubbles, which are «smeared» picture. How do x-rays of the spine? In the case studies of the thoracic and lumbar spine, the patient may be put to the tape of film, or to study, lying in a horizontal plane. Usually two shots: in direct and lateral projections. In the case when it comes to evaluating the degree of «loose», or instability of a number of vertebrae and of the weakness of their ligaments, carried out a study with functional tests, e.g. when taking pictures of the cervical. How to do an x-ray of the spine in this case? Just the patient is asked initially to possible to bend the neck, touching the chin. In this position, make the first shot. The patient then maximally throws her head back. So is the second picture. If the patient is in doubt, then ask about how to prepare for x-ray vision, he can from the physician who ordered the examination. What are the indications for exist? in orthopedics in determining the degree of congenital deformities of the spine, and to control at certain stages of treatment. How does the pathology and what can you learn? as the gaps between the vertebrae, the doctor makes conclusions about the state of the intervertebral discs. Dystrophic-degenerative lesions, which are the result of degenerative disc disease. Tumor and metastatic lesions of the spine. Disc injuries: fractures, cracks, separation processes, and so forth, which can be as pathological and secondary (trauma, osteoporosis, myeloma, metastases) and primary. In addition to these manifestations, several less commonly detected congenital heart defects (chondrodystrophy, spina bifida, marble bone disease), signs of rickets, the appearance of non-inflammatory granulomas (eosinophilic). You can sometimes identify signs of fibrous osteodystrophy in which bone tissue is replaced by connective tissue (Paget’s disease). As mentioned, x-rays, including the spine, is quite safe. Even when the two images, the total dose is 75 times less than in fluoroscopy, and many times less than when performing x-ray computed tomography. But, despite this, the patient wear a lead apron to protect the gonads. 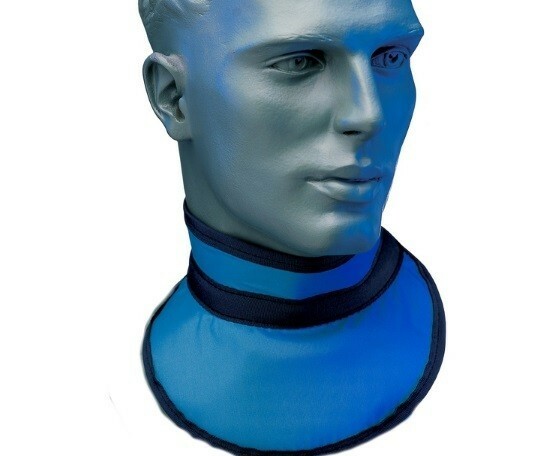 On the neck wear a lead collar to protect the thyroid gland. This study, the radiation dose can be considered quite safe. However, it should not be used for pregnant women, like all x-ray studies. Where can you perform and what you can replace x-ray of the spine? To perform this study at the present time in any hospital, clinic and emergency room, not only in the city but also in any Central district hospital. 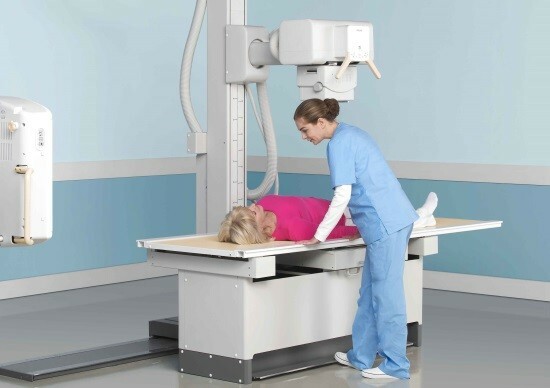 X-ray method is one of the most accessible methods. Another question: where to get an x-ray of the spine: in private clinics, or free? Since radiation exposure is about the same, all the same, where to do. The most important thing – what the experts will decipher radiographs. 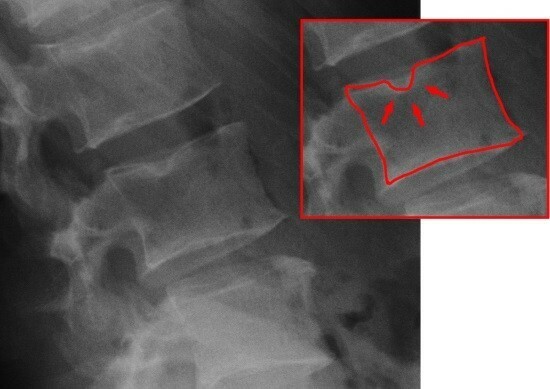 Replace x-rays of the spine can imaging techniques: CT and MRI. But they are expensive, and if we are talking about pathology of bone tissue, it is possible to do radiography of the spine.